Lon Chaney is regarded as the first horror film star – and yet this is somewhat misleading. Certainly he achieved great fame via signature roles in the genre classics THE HUNCHBACK OF NOTRE DAME and THE PHANTOM OF THE OPERA. He was a major box-office name in his day but like many sensational marketing headlines, and Chaney’s stunning make-up effects, the label conceals as much as it reveals. A much truer title accorded to him during his short life-time was ‘the greatest character actor in the world’. In a career spanning over 150 films, only a few were actually horror movies. He also appeared in many dramas, war and crime films, earning huge acclaim for his enormous commitment to each part. Moreover, by focusing on a handful of horror film performances, it gives the limited impression that his roles only involved elaborate external physical and bodily transformation. This was an aspect of his rare talent of which he was justifiably proud, yet he was a serious and subtle performer, widely regarded as a truly great actor’s actor by his peers and his body of work includes character portrayals involving solely inner depths of communicating another person’s life. Chaney was highly sensitive to building a canon of work whose performances if judged side by side would impress people with his great versatility. Even when he played Chinese characters in three separate films, each was markedly different from before. In private, Lon was a family man who protected his privacy, shunning the party scene and rarely granting interviews. His shrewd business sense extended to publicity, recognising that a certain elusiveness gave him a tantalising mystique as he created a wonderful legacy in the formative decades of cinema. In my retrospective of Lon Chaney, I’d like to widen the lens a little to shed light not just on his great horror roles but some that demonstrate his phenomenal talent in other genres. In this way, we get to appreciate the sheer range of his talent and maybe allow those horror gems to sparkle even brighter…? Born on April 1st 1883 in Colorado Springs, Leonidas Frank Chaney (first anglicised to Leonard and then nicknamed Lon) was one of the four children of Frank and Emma, both of whom were deaf. This gave an extra dimension to Lon’s communications skills which would crucially serve him as an actor in silent film. When his mother was ill long-term with inflammatory rheumatism, he would act out the events of his day to entertain her, much as a child would play charades. His mother taught at the school for the deaf that her own parents had founded, while his father was a barber. Money was tight, but the children worked to sustain the family’s finances, in the process teaching Lon a strong work ethic and the value of a dollar which, like many raised in poverty, he never forgot even when he became rich. One of his jobs was a tour guide at the picturesque Pike’s Peak. This instilled in him a life-long love of the outdoors that he would later escape to in order to de-compress from the unreality of Hollywood showbiz. Lon’s introduction to the life of an actor came via a job his brother John got him at his employer, the Colorado Springs Opera House. Lon was taken on as a prop boy and soon became seduced by this busy vibrant life into choosing it for himself. His cash-strapped upbringing ensured though that making a solid living was always on his mind. He would never indulge in the soft pretension of ‘starving for one’s art’ and agreed to his father’s insistence on learning a trade. 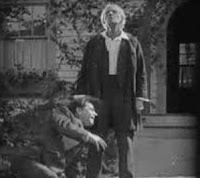 Chaney trained in wallpaper-hanging and carpet-laying, which sustained him during the all-too-regular ‘resting’ periods that actors know so well. The lure of the theatre eventually consumed him and he committed himself to the actor’s touring life on the road. Chaney made his stage debut in 1902 in THE LITTLE TYCOON and it may surprise fans familiar with his serious film work that he developed impressive skills in comedy and dance by virtue of the necessity of being an all-round performer. It was while on tour with the Columbia Comic Opera Company that he met Cleva Creighton, a sixteen year-old chorus girl who would become the first Mrs Chaney (and after whom their son Creighton, later ‘Lon Chaney Jr’ was named). Lon was now supporting his own young family and toured with various musical comedy shows to make ends meet, at one point sharing the stage with Roscoe’ Fatty’ Arbuckle in THE GINGERBREAD MAN. Not only was Chaney becoming multi-skilled enough to be an attractively cost-effective company member on and off-stage, but the unique demands of a weekly repertory schedule forged him into a professional adult of versatility – the making of the man. For a company to present ‘weekly rep’ this meant a gruelling slog unheard of today; typically an actor would rehearse one show in the day, perform the current show in the evening and then spend a long night under the work-lamp at home learning a third. There were other contracts Lon worked where he’d play three matinee performances and an evening one seven days a week for months on end. Added to these demands was a scarcity of good material, so offering the same repertoire as a competitor outfit meant you had to brand your version with its own unique style and character touches. Blend these ingredients, simmer for a few years and we can see how Chaney’s remarkable resilience and creative flexibility were shaped as standards he would set himself for the rest of his life. As Lon’s slavery in the salt-mines of repertory continued into his late-twenties, his home life was another source of strain. His and Cleva’s marriage became turbulent when she emerged as a cabaret singer of distinction, becoming their company’s prima donna. He no doubt suffered some professional jealousy as many actor couples can do between themselves, not to mention perhaps a traditional masculine pride hurt at being eclipsed by her while he laboured at the lower levels. The combination of this plus Cleva’s inability to handle alcohol eventually destroyed their union, resulting one night in a suicide attempt when she drank bichloride of mercury while he was on stage. One she had recovered, Lon divorced her in 1913, but this left a taint of professional scandal that would not go away. Theatre producers were fearful of employing him with such a past. This was fatal in a cosy industry with a very active grapevine - and yet as one career door closed, another was to open that would catapult him to global fame. Lon Chaney came to Hollywood in 1913 to seek much-needed employment in movies at a key point in its history. His first Hollywood employer, later known as Universal Studios, had been formed by Carl Laemmle only the year before as a manufacturing company and in 1914 would take up larger premises to become the world’s first fully self-sufficient producing studio. Lon would initially be lost among a sea of day-players eager to make a few bucks in a virtual sausage factory of short films pumped out by the studio. He adapted well to playing all manner of types, using the theatre actor training and make-up skills already in his armoury. His signature shape-shifting is partly why it’s so hard for experts to deduce when exactly he began as a film actor. Another crucial element in Chaney’s career timing was that audiences were now growing accustomed to singling out performers as favourites to follow, an important factor for any actor in gaining any power and hopeful longevity. Studios had been resistant to promoting actors for fear of giving them leverage especially when it came to negotiating salaries, but they couldn’t ignore the level of fan mail and the need to keep (or steal) talent that gave good box-office . Florence Lawrence and Mary Pickford were the first to flex their muscles in applying this influence. Lawrence had been with Biograph Studios as an anonymous player until the media dubbed her ‘the Biograph Girl’. In fact it was Mr Laemmle who in 1910 tempted her away to his predecessor to Universal – IMP (Independent Motion Picture Company) with the promise of a higher salary and the vital top billing that Biograph wouldn’t allow its artists. An astute huckster, he then played both ends of the rumour mill by circulating rumours about her death to the press while simultaneously condemning the gossip, thus perpetuating vital publicity for Ms Lawrence in his upcoming films. Mary Pickford propelled herself to the all-conquering title of ‘America’s Sweetheart’ beginning with replacing her as the new Biograph Girl. By July 1914, Lon Chaney was generating a name for himself at least among his peers and according to the studio’s in-house newspaper Universal Weekly. He was already “…considered to be the most versatile make-up artist and the most capable ‘heavy’ in his own line in the business”. Not a bad start in individuating one from the rest of the pack and by virtue of in-demand skills that not everyone possessed. As Lon’s professional standing was on the up-swing, his love life recovered too. He reunited with Hazel Hastings, another chorus girl from his theatre touring days who’d been kind enough to babysit Creighton when his multi-tasking of roles prevented from devoting enough time to daily child-care. Their friendship blossomed into love and after waiting for Hazel to divorce her current husband, they were married in 1915. Another fruitful relationship Chaney built at this time was with director Joseph de Grasse for whom he appeared in 64 films between 1914 and 1918, most of them lost and forgettable when compared to his later work. Despite the volume of credits he was amassing though, Lon resented the precariousness of his position. He didn’t have the security of being under contract or of a decent salary unlike less talented players on the lot. When Universal refused to raise his salary from the low $75 a week to $125, he took the bold gamble of leaving them and going freelance. This was particularly brave considering that the reputation he did have was only known in-house. There was a long dry spell before his holdout paid off with the western RIDDLE GAWNE for Paramount and a weekly $125. Universal bore him no ill will and when he renewed his association with them as a newly-empowered freelancer it was to begin a gradual climb to fame. THE WICKED DARLING (1919) for director Tod Browning (later famous amongst horror fans for FREAKS) started a long-term creative alliance for the two men paying off in the future. For now, a notable supporting role as a pickpocket started to gain Lon attention for his dark character roles. Following this was THE FALSE FACES (1919) shot during World War One but by the time of its release in peacetime again audiences no longer wanted easy jingoism, which buried any hoped-for impact for Chaney’s Karl Eckstrom, a conscience-free German soldier of relished evil. THE MIRACLE MAN (1919) for Goldwyn Pictures was where Lon Chaney finally began to make his mark. He plays a con artist with a line in faking physical handicaps who uses his remarkably convincing contortions to cheat the gullible followers of a blind faith healer – until he witnesses the miracle healing of a real crippled boy. 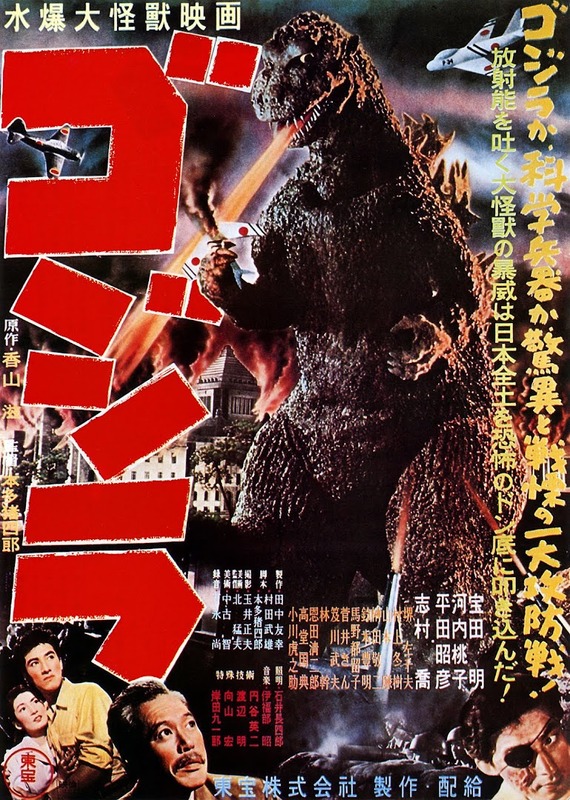 George Loane Tucker directed and adapted it from the hit Broadway version, and although only around two minutes of footage survives it’s easy to see why the trailer boasts that it made an overnight star of him and was a huge box-office hit. We’re at least able to see a short key sequence showing the phenomenal power of Chaney’s committed physicality as he plays a phoney rejuvenation for all it’s worth. He rises, a compellingly joyous body-popping unlocking him through agony to his full height, sporting a beatific smile of disbelief at this wondrous ‘transformation’. It is thrilling and impressive to watch, a product of his astounding work ethic of hours of rehearsed exercise - as well as tantalising that we have no more of his performance to enjoy. No matter, for it was the contemporary power THE MIRACLE MAN had to revive his career that was all-important.